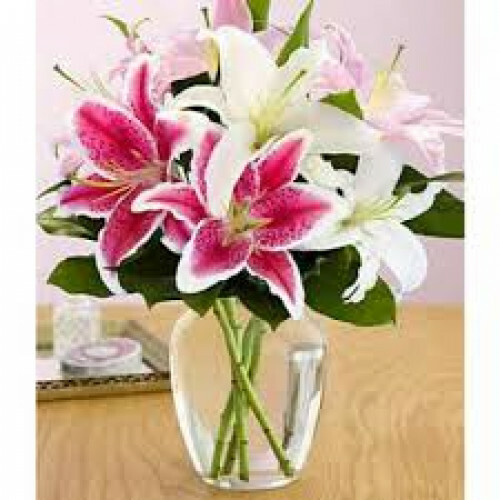 Simple but striking a lush hand tied bouquet of pink and white scented oriental Dutch lilies in a vase delivered in Galway & Ireland. Lilies are always a welcomed gift no matter what the season. If you are thinking to make the right impression then nothing does it better than this fabulous Tedd..